A hero to so many and one of the most unique individuals on the planet, we are so lucky he chose to share his great gifts with us - thank you Prince. 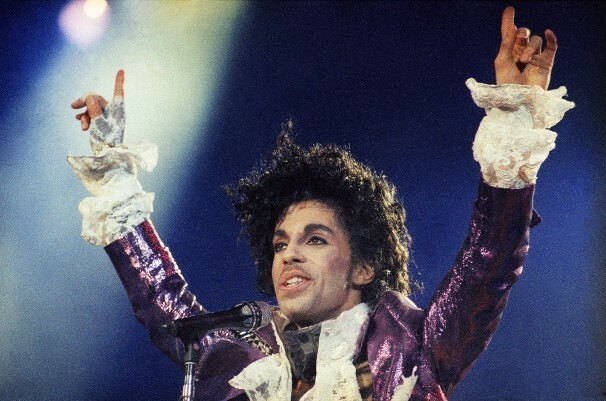 If you are like me, from Minnesota and at a certain age we felt that Prince was our secret - we didn't really know that the world knew so much about him or was going to know so much about him. He owned our local dance joint - First Avenue and brought great acts there and occasionally showed up to play himself if we were lucky. I feel compelled, as so many do today, to tell my Prince stories - I have a few, we loved him - but I also didn't feel cool enough myself to be a real groupie. When I was in my first year at college in Minneapolis a girlfriend and I skipped school for at least a week and signed up as extras for a movie called Purple Rain, we dressed up like nightlife Prince groupies - a bit Madonna a bit Prince - and showed up at 5am to sign in as 'extras'. Dancing all day, it was so exciting, but we honestly thought... "I'm not so sure about this movie..." we were just happy to be with the music and dance! (and we got paid something like $100/day) and the song Purple Rain, we just loved that song the moment we heard it, by the end of shooting we knew every word and we would sing it to each other constantly (while waving our hands in the air like we were supposed to during the movie shoot!). I got to be in a scene with him and Morris Day, I was so electrified by Prince I was almost immovable. I don't remember much about what I did in school that year but I will never forget that week. If we weren't at First Avenue we were at Graffiti's a small dance-pit place that was previously a bank, with tall ceilings and graffiti painted everywhere, it had all of this ornate stone architecture. There was a Mezzanine where nobody really sat, except for Prince - every once in a while he would stop in. This night was Halloween and I was dressed as A Prince (not THE Prince), I was asked by his guards to come and sit at his table and as I stumbled to try to tell him that I was not trying to dress like him, I was really just dressed as a random Prince in a fairy tale... I actually got a smile from him, that never happened, but it did... to me! He was a signpost for us quiet and shy Minnesota folk, the way he stayed in Minnesota, the way he could have done anything but he stayed there and just painted his house purple. Be your own guide to your unique future and let it take you where it will. I am shocked to know that he was only six years older than I was, when he made Purple Rain he was 24 years old! Just march to your own beat and keep your integrity. Prince will forever live in my heart and represent a unique future that we all can cultivate of our own. We are so very happy to announce that our new shop is OPEN! I am completely delighted with the outcome (I frankly don't ever want to go home anymore! ), we used some muscle and built our own furniture, painted a LOT and put some nice plywood to good use. It became a family affair (Claire you are part of our family!) and the result is even more amazing than I could have imagined! The next time you are in the Wakefield/Narragansett area you must stop by... I am sure we will have (better) photos to follow but we are OPEN and can't wait to see you in our shop. ugh, these are quick snapshots... we don't have a sign yet... so more to come! 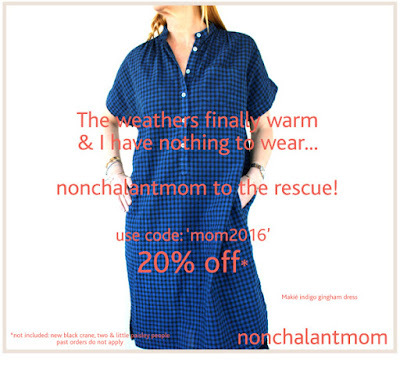 Mom's Day is coming up... 20% off! When the weather is warming up you know that Mothers Day is coming up... I look forward to a day at Brimfield Flea Market, I make sure to get a little something for myself, and a breakfast in bed... that's all I need! We are offering a very special (not usually offering a S A L E at this time of year) 20% off almost the entire store*! Stop in, troll around and shop for awhile - and let me know if you have any questions! Use code: 'mom2016' - 20% off! The folks at Wovenplay have worked together with the fantastic Pepe shoes to make these delightful sneakers! 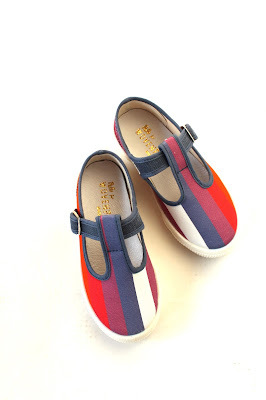 I am in LOVE with them but alas they do not come in my size... but your KIDS can run all summer long in these great rainbow stripe shoes that super amazing quality made in Italy. I have a limited amount - and we are the only ones who have them so come on in and grab your pair! I am sure there is a deeper greater meaning to this instillation but without knowing what that is I just decided the I love this artists work. 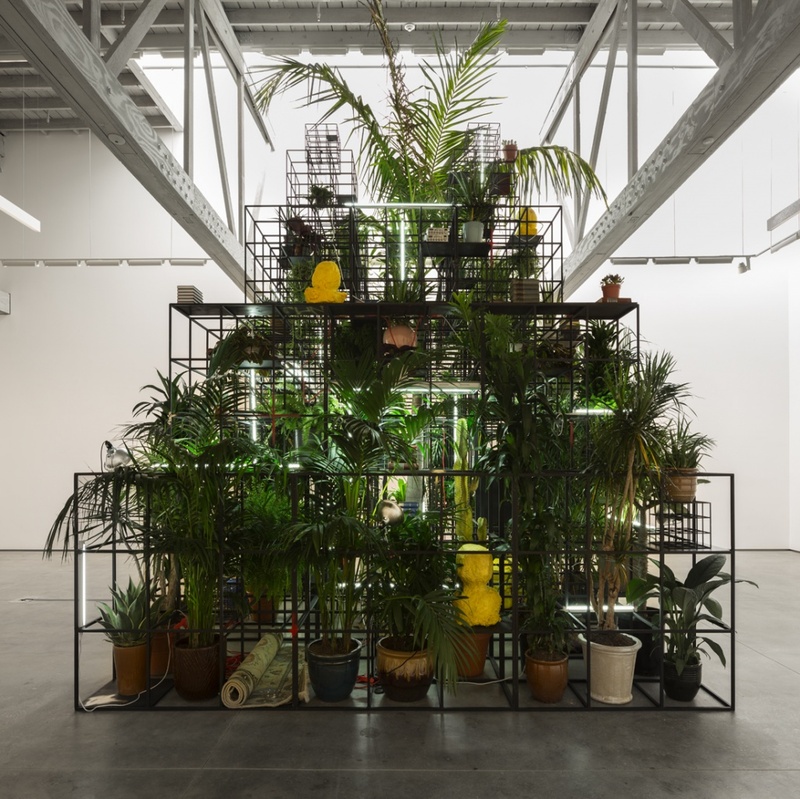 This piece is in the Garage Museum in Moscow and while installing the made a fantastic movie. 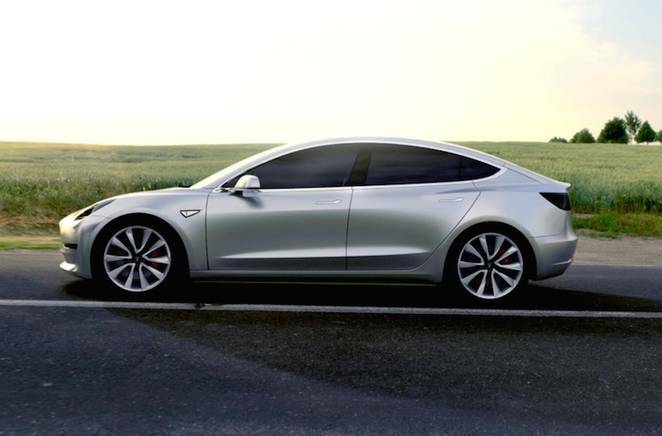 Even though I don't have enough cash to even think of a Tesla, I was curious to check it out and see what the new Tesla model 3 was all about - and I kind of wish I didn't... Love the car, my 14 year old son is obsessed! I have a few friends that have the current model and I've been in one enough to know that yes, it's the future that's for sure. Of course it is... good for planet AND looks good. I have friend from my Esprit days (80's) who at that time (or somewhere around there) had the foresight to invest in Apple - he is now a millionaire, d - u - h... we lived in San Francisco so it was close to home, he didn't even invest much, but there you go... it can happen. So I was thinking, is Tesla the same thing, maybe so? But either way... I want the car! :) If you are even thinking of it - check out this article in Treehugger (by Jason Martinko) for more info. This is my new vitamix obsession - I made this up because it's all of my favorite things in one drink! It's good hot or cold! (bonus) and I'm just about certain I could have it every day. I use a lot of water so it's not heavy or doesn't way you down... just keep it light and yummy. N E W Lucky Fish in store and online! 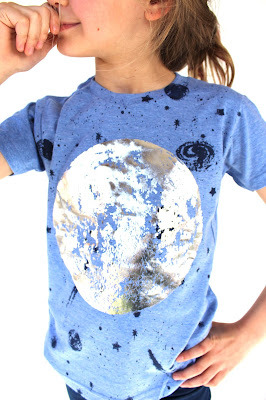 It's the most highly anticipated collection to arrive for Spring in the store and Lucky Fish is here! 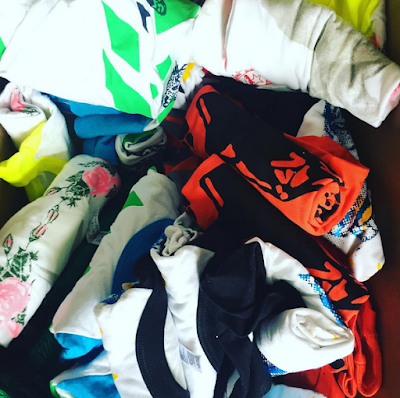 This new stock of Lucky Fish is filled with bright and bold t's that your kids will LOVE (as usual). 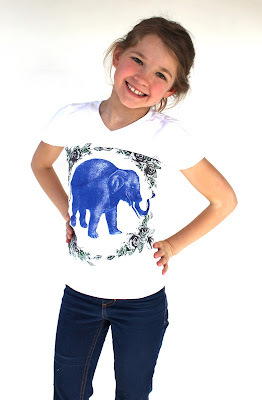 Really there is no other choice when you want your kids to be set apart from the pack... we were able to get some of the T's up to size 14-16 years (the following styles are available in size 14-16 years: "ellies'n roses" (purple elephant on white T), Bunny on mint T, La Paz foil on pink T, carousel horse on neon pink T) and most of the styles run up to size 12 - sizes 10 and 12 go fast so get yourself in there! 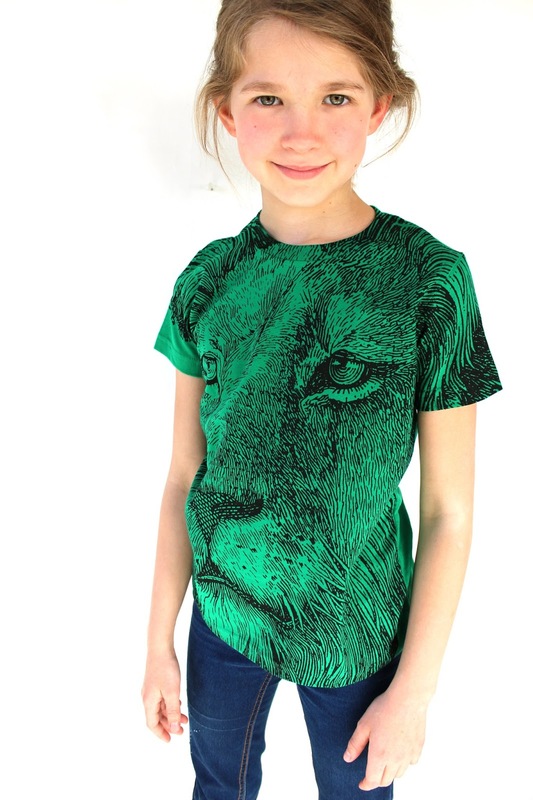 this is a new print for Lucky Fish and we just love it! Whatever you choose your kids will LOVE them and you will like the fact that your kids are unique and have their own look. We also marked down all other styles so most past season Lucky Fish is $20-$28! !